3 pairs of wings hang in my daughter’s closet; sparkly wands stand in a container on her dresser. Like so many girls, she loves fairies. 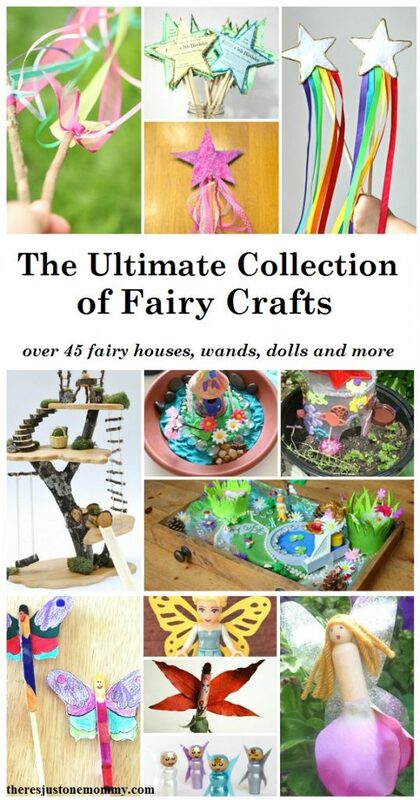 For every little girl that loves fairies, there’s a little girl that loves kid crafts. These kids fairy crafts are the perfect combination of whimsy and magic to inspire any little girl’s imagination. If your daughter loves fairies, she will love these cute crafts. And, if she likes mermaids, too, you’ll want to check out these fun mermaid gift ideas. From miniature fairy houses and gardens to homemade wands, there are so many magical craft ideas to choose from. I’ve organized them by type so you can find the perfect craft to inspire dreams of tiny winged creatures fluttering around the flower beds. Ooh I LOVE all things fairy!! These ideas are just so stinking cute!! Thank you so much for sharing our Tinkerbell Clothespin and Fairy wings!!!! You’re welcome. They are so cute!